This article will guide you on how to log in to your AT&T Office@Hand account online. Check on the link for more information. Launch a web browser on your computer or device. You can use Internet Explorer, Google Chrome, Firefox, Safari and other browsers. 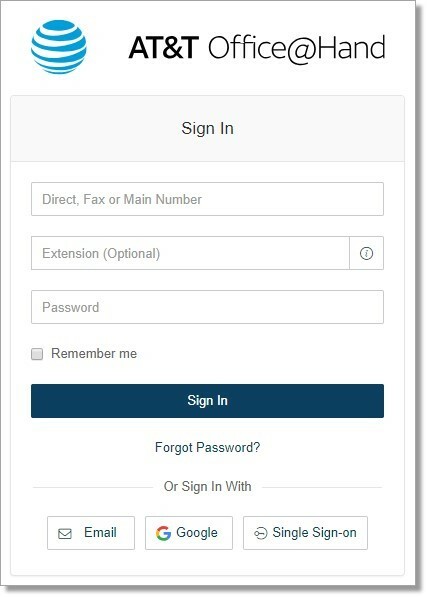 In the Member Login form, enter your Office@Hand account credentials. For Administrators – Enter your direct phone or fax number and your numeric password. For Extension Users – Enter your main company number, extension number and your numeric password. Note: The default extension of an Administrator is 101. You need to specify your Extension Number if there are two (2) or more Administrators in your Office@Hand account.